When you were in high school, what did your classmates get hyped up about? The football team’s big win? Spirit Week? Or nowadays, how many likes they can get on their Instagram pic? Well, our friends at Sanderson High School in Raleigh get seriously pumped about their annual food drive. For the last 15 years, Sanderson has held one of the largest food and fund drives to benefit the Food Bank that we’ve ever seen before. It’s an effort that is driven primarily by kids who are under the age of 18. Kids who can’t vote for President or drive a vehicle, but understand all too well the need that exists not only in the community as a whole, but right in their own school. Almost 50% of students in our 34-county service area qualify for free or reduced-price school meals. Many of the students at Sanderson High School likely experience food insecurity at some point during their high school career. But every student contributes to this food drive because they believe in helping others. They believe that if everyone pitches in even just a little bit, together they can make a big difference in their community. 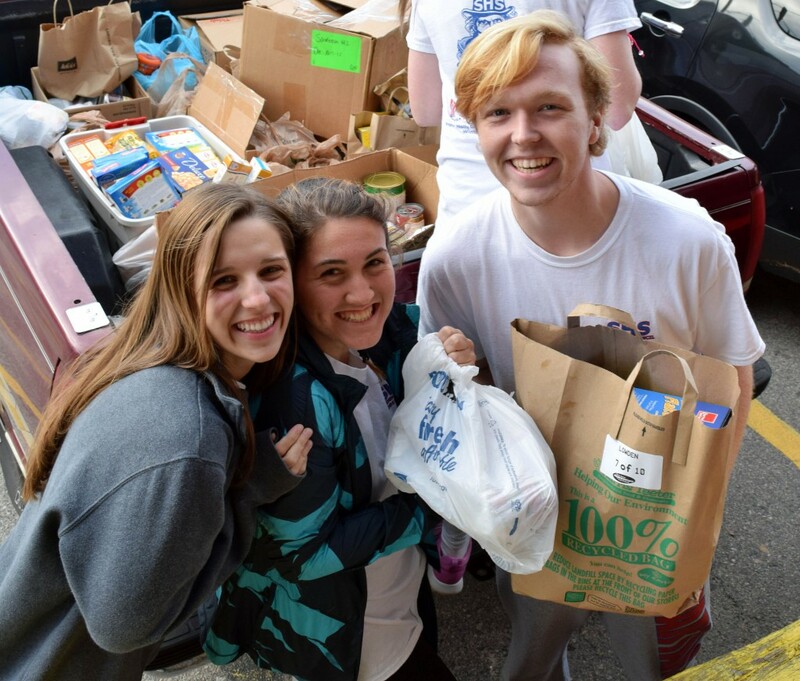 And their spirit and commitment yield amazing results – this year, Sanderson students and faculty donated enough food and funds to provide 244,000 meals. Sanderson is one of many schools who take part in the Food Bank’s Students Against Hunger food drive and friendly competition throughout our 34-county service area. The campaign is an opportunity for students, staff, parents and teachers to join together and help feed hungry children and their families during the holiday season. Over the past 15 years, students in our 34-county service area have donated enough to provide nearly 4.6 million meals to those in need. Our staff at the Food Bank is continually blown away by the dedication and devotion of all the students, faculty, and parents that continue to work so hard to help others in need. Many parents have likely sent their child to school with a few cans or dollars to contribute to a food drive. But perhaps not many realize that their drop in the bucket does have a huge impact when we work together. This year Sanderson was once again named the overall winner of the school competition. They have held the crown for the last 15 years, and they told us they plan to keep it that way. Sanderson High School students drop off their food drive donations at our Raleigh Branch.